Yay December! Pandora comes to life in our house around Christmas time. We’ve got the “Peaceful Christmas”, “Ray Conniff Singers Christmas”, “Amy Grant Christmas”, and “Frank Sinatra Christmas” stations on heavy rotation. It’s a beautiful thing. I’m smiling just typing it out! Life has been a bit non-stop around here, but it has also been good. We’ve found a smidge of a rhythm, which is more than I could say for many months before this, so I find joy in that. The kids are really doing awesome at school. They have passed through the season of merely surviving (thank God!) and have moved into a season of growth. God has been so faithful to our kids. I have done more than my fair share of worrying about them since we very first moved to Ukraine, and all along God has spoken the words “Do not worry about your kids. I am with them.” But of course I still worry and worry and worry…because I guess I’m a slow learner. Anyway, I’m now seeing some of the fruit of His watch and care over them. Things are still challenging in many ways, but we aren’t drowning anymore, and there are a whole lot less tears. Things are looking up! Addy is in fifth class and is just fantastic. She’s really growing into a lovely young lady. Can you believe she’ll be THIRTEEN in February???? What the heck? She is so kind and so joyful. If you knew her as a little bitty girl, she is just the same, only taller, and with some maturity added in. By age, she should be in 7th class, but the school really thought it was best for her to do 5th this year. 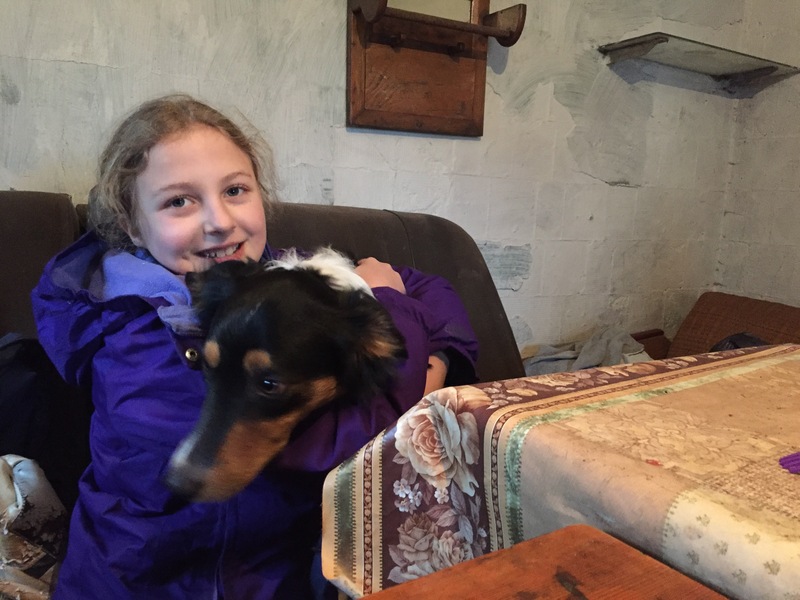 She’s feeling the age difference in a pretty big way, but has found one sweet friend, Vika, that she really loves. Addy is hoping to talk with the school and work hard to skip a grade next year, in order to get her closer on par with her peers. We’ll see if they are open to it. I’m proud of her for having the guts to try! Addy also goes to a middle school youth group at the church where a few of our friends go. She enjoys that a lot, and it’s just the right thing for her to spread her wings a bit. Ezra is in fourth class and is coming right along. He has a couple little friends, Mark and Nikita, that he really loves. I’m so thankful for them! 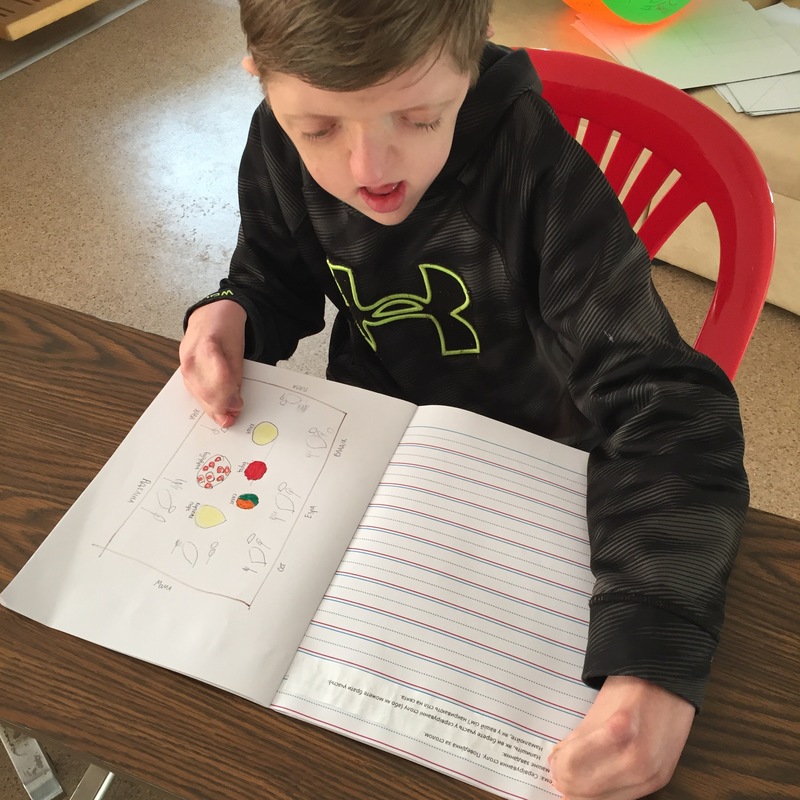 School is harder for him than it is for Addy, but he is really working hard and doing well. Our friend who helps him with his homework is just fantastic with him, and step by step he is improving his skills and understanding. Last week Ezra’s class did a dance for all the parents and other students and Ezra rocked it! He was amazing! We were shocked because he was dreading it so much. You know, he had to hold a girl’s hand! NOOOOOOOOOO!!!! He warned us that he would probably be sick that day and not be able to participate. 😉 But, lo and behold, he gathered the courage and did amazing. What a brave kid. Hava is in first grade and is just rockin’ it. She is so blessed to be able to start out from the beginning with her appropriate age. She’ll have a much easier time than Addy and Ezra because of it. She’s learning to write Ukrainian cursive and is coming right along with her Ukrainian reading. She has lots of little girlfriends in her class, and her biggest complaint is that they all fight over who’s going to hold her hand when they have to pair up to walk down the hall to lunch. What a hard life! Hehe. 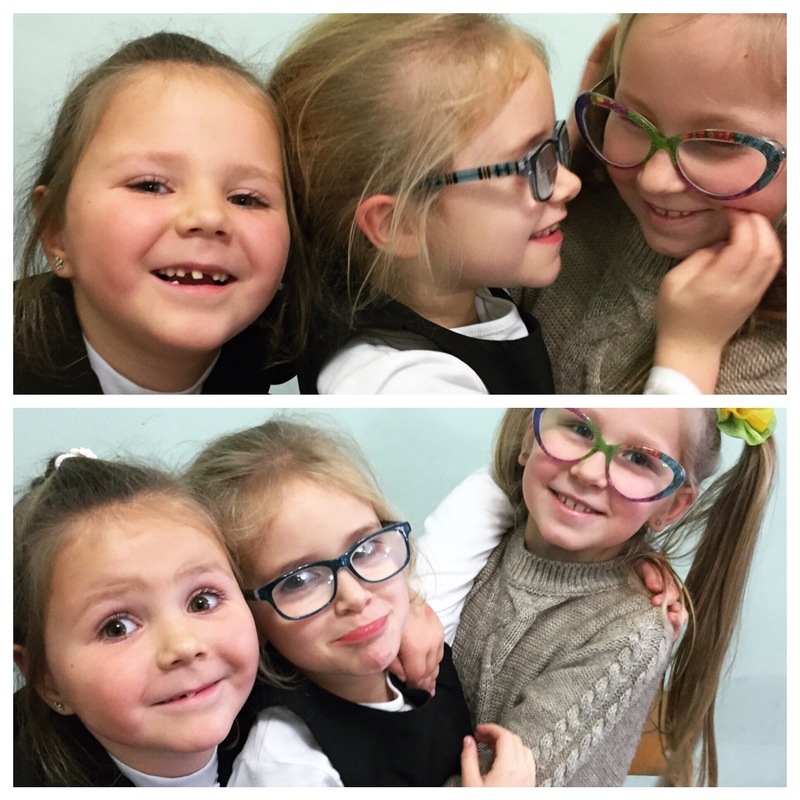 School in Ukraine is generally much more serious than in the US. There is not a lot done with fun in mind, and the standards for work are extremely high. Despite that, I think Hava’s teacher does her best to understand that her little students are very young and need extra grace. I appreciate that. Hava and her little school friends. CUTIES! 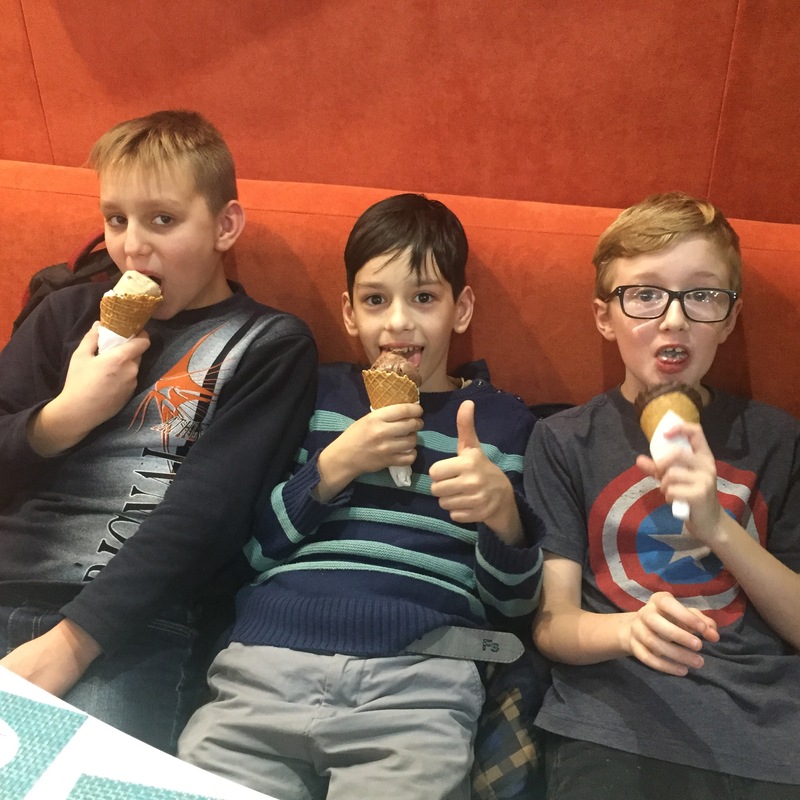 Vladik is attending the same school as Addy, Ez, and Hava and he LOVES it. Oh my word. He gets absolutely giddy when it’s time to go to school. Our friend Tamara teaches him and she is just the right fit for our special boy. She is not a trained teacher, but she is an experienced mom and she loves Vladik. She sees his value and sees his potential. That makes her the perfect choice. Four days a weeks she comes to our house, picks up Vladik and takes him on the trolleybus to school. He does PE and art with Addy’s class, and the other time is spent in his own little classroom doing individual lessons with Tamara. Then she brings him home after lunch. They are working on learning about months, days, seasons, weather, numbers, counting, personal hygiene, appropriate social interactions….all the stuff you would teach your toddlers and preschoolers. Vladik has many big gaps in his knowledge, so we decided to start at the very beginning and make no assumptions about what he does and doesn’t know. He is eager to learn and is soaking it all in. Tamara speaks no English, so Vladik has learned to speak English at home and Ukrainian at school. His language is EXPLODING! It’s really the ideal situation for him and we are so thankful that God made a way for him to get the education he needs. Seth. Seth was and is our biggest mystery. 🙂 His needs are different than our other kids and much more difficult to decipher. We have struggled since September to find the right educational fit for our Sethers. He just wants to stay home with mommy all day, which would be fine, except that then he gets zero Ukrainian. He will go to first grade next year, and it will be 500 times harder for him if he doesn’t get a better handle on the language. Because of that, we knew we had to find some sort of kindergarten/preschool for him to attend, at least part time. We tried a few places and just never felt peace about it. FINALLY, last week we found our landing place for Seth. 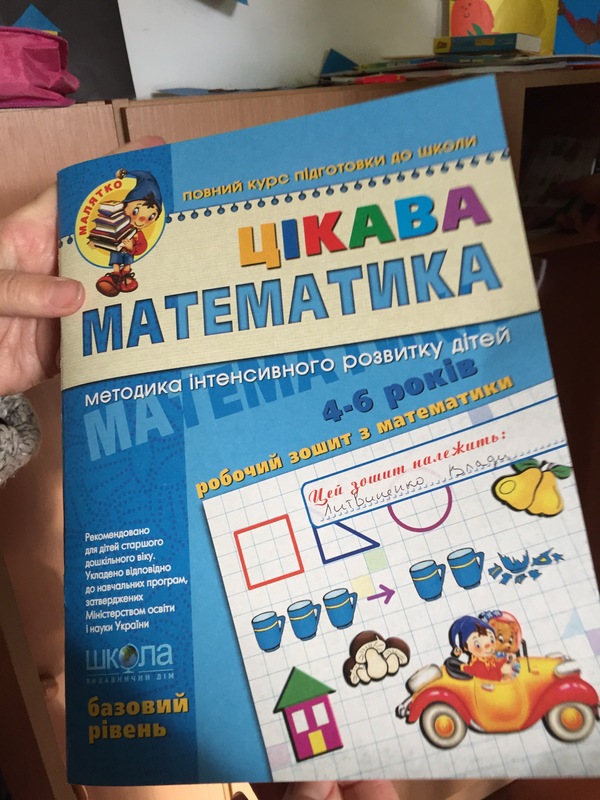 Ivanivka, the village where we are building our Wide Awake Homestead, opened a kindergarten at the public school there and we started to send Seth. There are 7 kids there right now, but more will come when the weather warms up. (It’s super cold in the classroom…like kids wear their snowpants the whole time…) It meets for 4 hours a day, and we send Seth four times a week. They do some preK stuff in workbooks, but mostly play. It’s perfect for Seth. He’s not ready to do a bunch of seatwork. He mostly needs to interact with other kids and gain some confidence with the language. We’re only in week 2, but so far so good. He’s only refused to stay one day so far, which for Seth is pretty good! 😉 Hopefully things will only get better from here! School has been a HUGE help in bringing some stability to our lives here. Our kids know what to expect and where they belong. It is definitely a super challenging road to walk, but so far any issues that have arisen have been able to be worked out with administration. They love our kids there and really want to work with us. I’m thankful. Thank you to all of you who pray for our kiddos. It means so much to us! Thrilled to read each word about the children… I will continue to pray…so very pleased about Seth s placement… I had been wondering if anything was materializing for him!